“SOMETIMES you have to give a man a chance, Ruth. 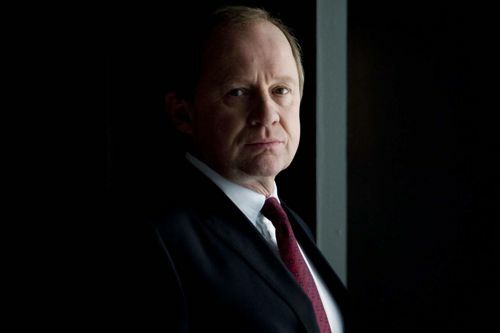 Spooks series nine episode three, with Peter Firth on scorching form as Sir Harry Pearce. Next Monday’s visit to Thames House begins with Spooks in space. Or rather a spy satellite beaming back live coverage of the Azakstan Freedom Front (AFF) trying to get their hands on a nerve agent (yes, another one) called Paroxocybin. Which we later learn would wipe out the entire population of London in less than a week. A weapon of mass destruction with no antidote. Much like the dearly departed Ros. It’s a tense time for Harry and Ruth (Nicola Walker) as they are involved in another late night call. This time it’s to Home Secretary William Towers, who is resplendent in dressing gown and pyjamas. A look he sadly exchanges for suit and tie when interviewed by Kirsty Wark in the Newsnight studio. The cuddly coalition Home Sec (Simon Russell Beale) is decidedly frosty towards Harry right from the off. With Harry, in turn, taking it out on Ruth. “Doubting my judgement?” he snaps. But has Harry made a mistake? He runs out of patience with the Russian ambassador during one of those classic Thames Embankment walks, including mandatory black leather gloves. Harry’s demeanour goes further downhill when Russian FSB officer Viktor Barenshik (Julian Lewis Jones) is seconded to The Grid. AFF member Azis Aibek (Jonathan Aris) is in the capital, determined to get his hands on the nerve agent. A phrase we must all somehow strive to introduce into our daily conversation. Viktor and Lucas (Richard Armitage) have one of my all-time favourite Spooks’ exchanges. In a clever hour of television, keeping this series right on the money. Including the latest outing of The Beth Bailey Stare. It’s a joy to see Spooks treated with such loving care by everyone from script writer to final tweaks of post-production. With a special mention for the background mood music. Of course, as ever, if you examine the story in finite detail, you’ll find things to pick at. 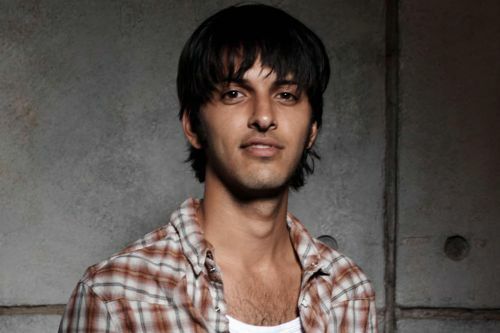 Spooks is dramatic entertainment where you should check in your disbelief at the door and enjoy the ride. And quite a ride it is. Spooks continues on BBC1 at 9pm next Monday. Posted in Spooks and tagged Nicola Walker, Peter Firth, Richard Armitage, Shazad Latif, Simon Russell Beale, Spooks. Bookmark the permalink. Oh, how I agree with you about the nit-picking! I’ve more or less stopped reading reviews because of it. I look forward to the exchange between Lucas and Viktor – if it’s a favourite of yours I know it must be good. Well I’m about to want to throttle Harry and Ruth if they don’t get their act together!!! Sounds like another interesting episode. But the continuity of weather that just makes me giggle. Ros can never be replaced hands down she is truly missed. I’m liking the direction for sure so it will be great to see where it goes for this ep. I will scream if Ruth and Harry don’t get their acts together soon! I think we should all try some Tariq-tech-talk at some points during the day, as a closet geek/ex trainee IT-tech I can go very geeky and confuse people when I want to, and it’s very fun!! Don’t think this episode was as good as some by a long chalk, but weak, I think they were saving it for the latest one.